If you had a collision with your vehicle and need collision repair parts, then we can help! Locating repair parts is our specialty, just post a request through our repair parts online requester and you will receive quote for prices on the parts you are looking for through our network of places that sell parts throughout the US and Canada. 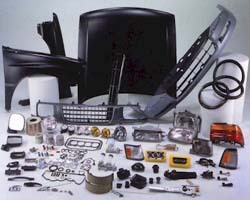 Find used repair parts has never been easier now that you have found UNeedAPart.com! To find the repair parts you are looking for please select your year and make on the form above and click next step.